Rally the troops! 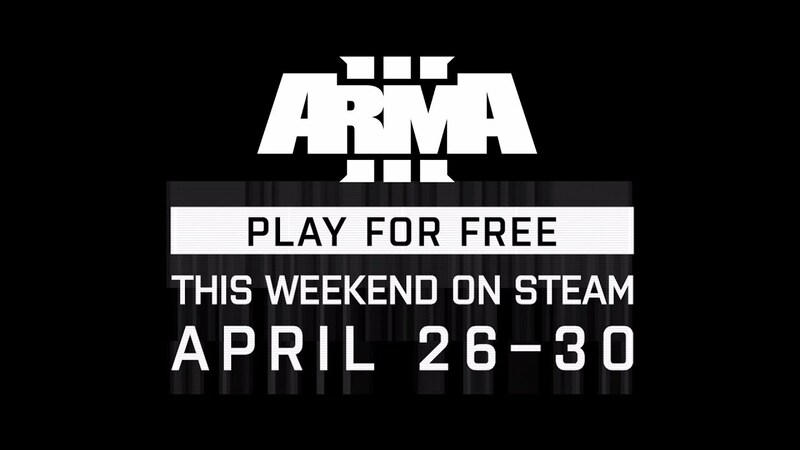 This entire weekend, starting later today (Thursday April 26) at 19:00 CEST (check countdown timer) up until Monday April 30th at 19:00 CEST, everyone can play the complete Arma 3 base game on Steam for free. This includes access to all vanilla weapons and vehicles, but also the Scenario Editor, all multiplayer modes, and even the full "Bootcamp Prologue" and "The East Wind" singleplayer campaign. To install the game, Arma 3 will be temporarily added to your Steam Library, or you can install the game via Arma 3's store page on Steam. In case this free version doesn't show up by 19:15 CEST today (check countdown timer), we advise you to restart your Steam client. Enjoying the game? If you wish to continue playing after the Free Weekend (and we're sure you will! 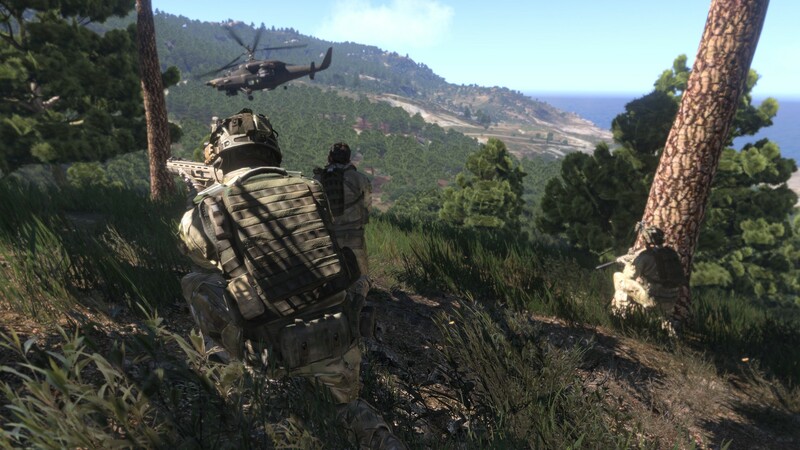 ), we'll be offering a temporary discount of 66% on the Arma 3 base game or the Arma 3 Apex Edition. 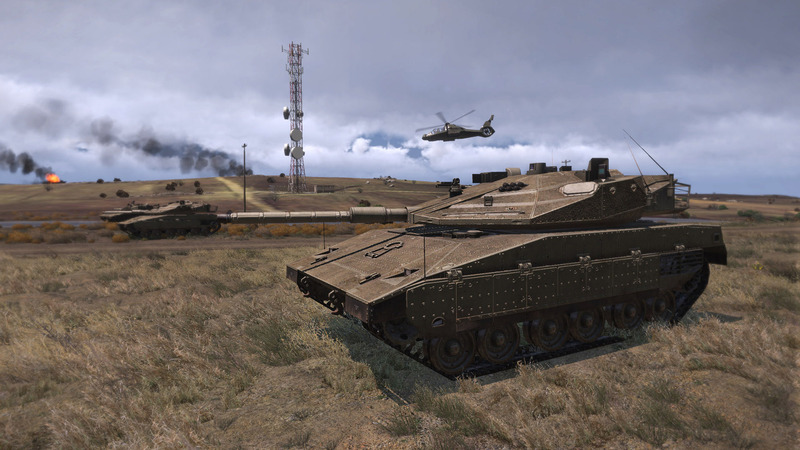 You'll also be able to pick up all Arma 3 DLC (except Tanks DLC) at a massive discount, so be sure to check out the Arma 3 store page even if you already own the base game. 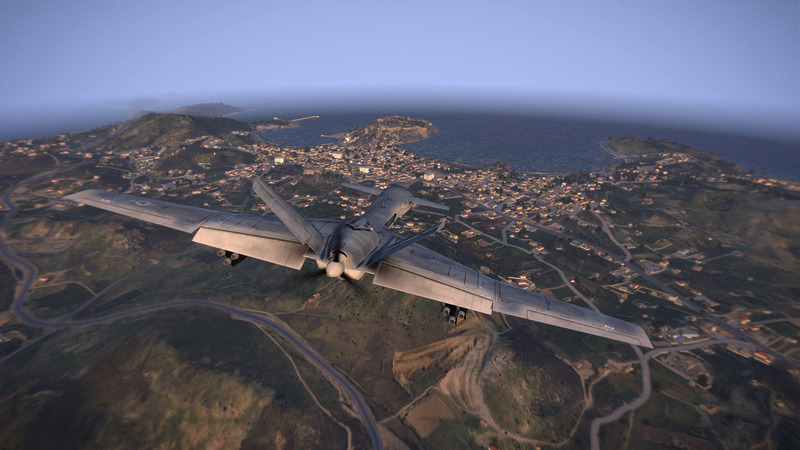 Since its initial release, Arma 3 has received more than 75 free platform updates, introducing additional content, new features, and lots of improvements. As a result, the game is in a better shape than it's ever been. Plus, the Arma 3 community (of more than 4 million players) has been incredibly active as well, with an average playtime per Arma 3 user of 150+ hours, 50,000+ public Steam Workshop items, and over 57,000 registered Units. 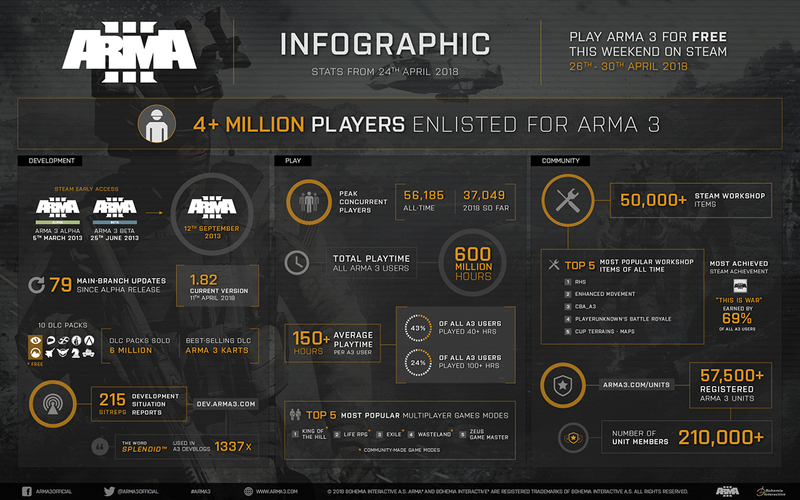 Take a look at our new infographic poster for a quick overview of Arma 3's splendid™ journey so far. We wish you and your friends a wonderful (free) weekend. Have fun playing the game!